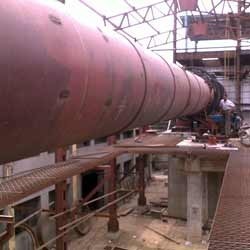 Owing to our vast manufacturing facilities, we are able to offer a gamut of Rotary Kiln. This range of machines is offered by us in compliance with the international standards of quality and in variegated specifications to suit the requirements of the patrons. Available at competitive prices, these machines are manufactured using premium-grade raw-material sourced from some well-known vendors of the market. In addition to this, we ensure that this range is delivered within the scheduled time-frame to avoid any inconvenience at the customers' end. 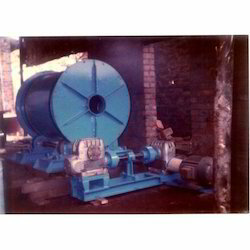 We are a prominent entity engaged in providing our clients with the best Batch Type Rotary Smelter. Manufactured and designed by making use of high-grade steel and other material, these products conform to the defined parameters of the industry and prevailing market demands. Furthermore, these products are available in various specifications according to the requirements of our esteemed clients. We are dealing in manufacturing and supplying of a vast array of Rotary Kiln that are manufactured using optimum-grade raw material and conform to international quality standards. In order to meet the exact needs and requirements of the patrons, we offer these kiln in various capacities, speeds, models, sizes and other specifications. These products are used in numerous industrial sectors for calcination of various material at the desired temperature range.